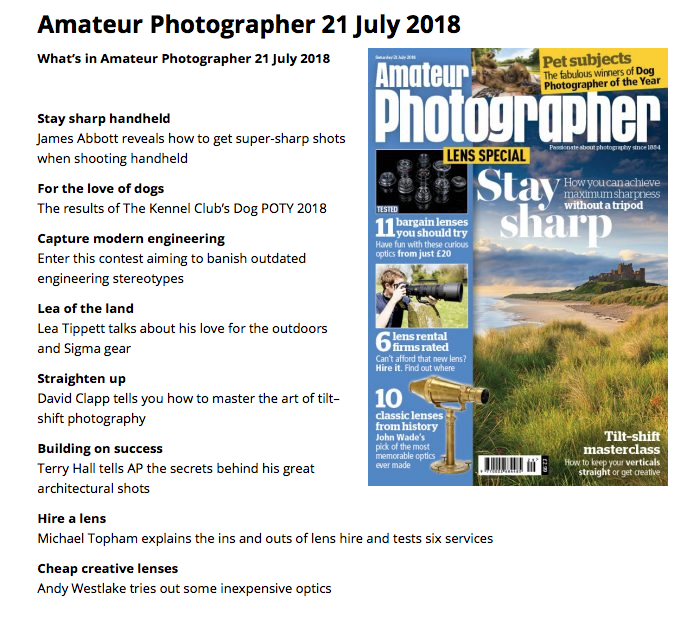 Amateur Photographer Magazine 21st July 2018.
and whyi use Sigma gear to capture my landscape images. This is probably the pinnacle of my photography career to date and something i'm very proud of. I must thank Sigma-Imaging UK for their belief in me and continued support in ​helping me progress to become a full time pro. Sigma-Imaging UK and for that i am forever grateful. 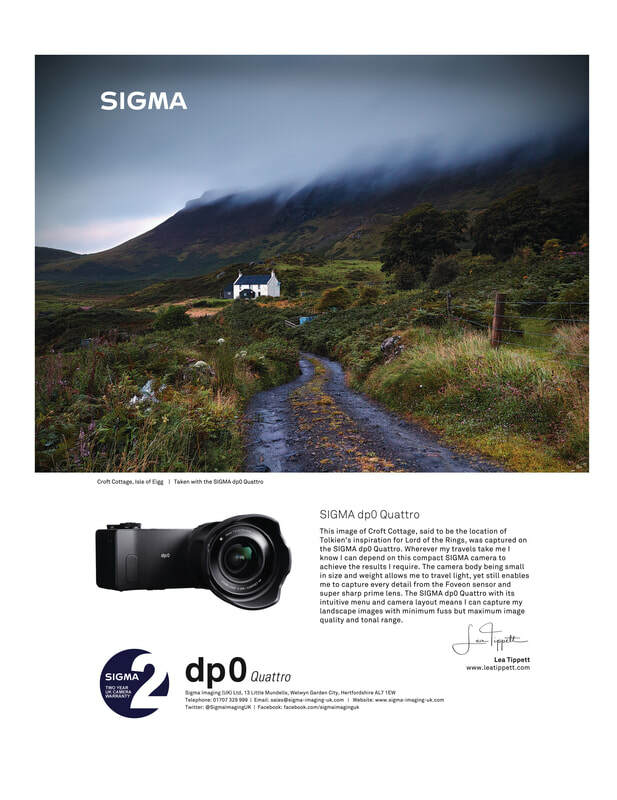 ​Advert for the Sigma dp0 Quattro camera. 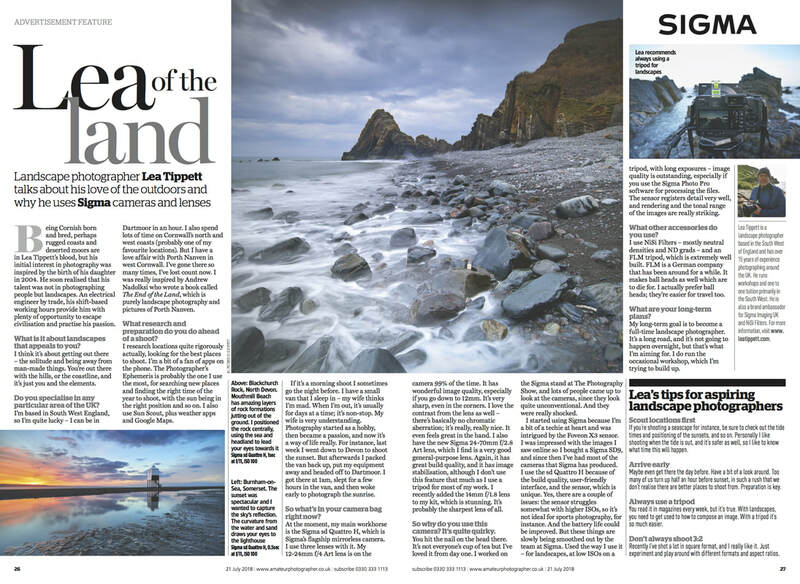 I was overjoyed ​that Sigma-Imaging UK used this image taken on the Isle of Eigg using my favourite camera the Sigma dp0 Quattro. It has been widely used to advertise this camera in many leading Photographic magazines.